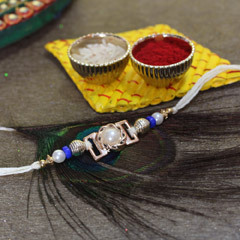 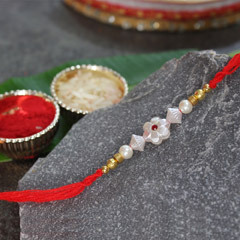 Like every sister if you are also desiring to accentuate your brother’s wrist with a beautiful Rakhi then here is the beautiful Rakhi choice to make. 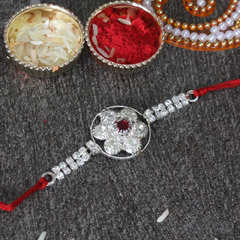 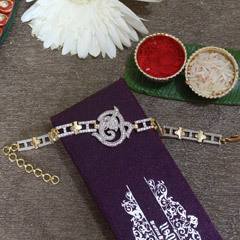 It’s a lovely and quite uniquely designed Rakhi with lots of shine and elegance. 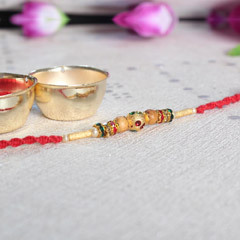 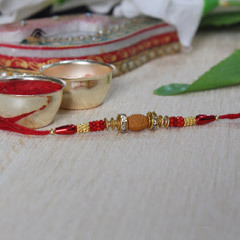 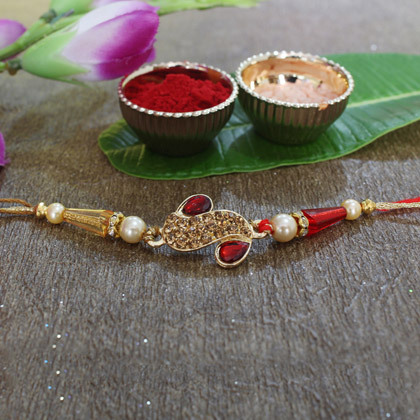 The sparkling stones and beads of distinctive shaped of this red and golden Rakhi are adding into its charm. 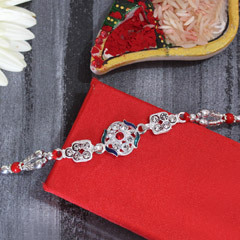 Place order for it right now!